Naspers became a shareholder in Avito in 2013, buying 18.6% of the company for $50 million. 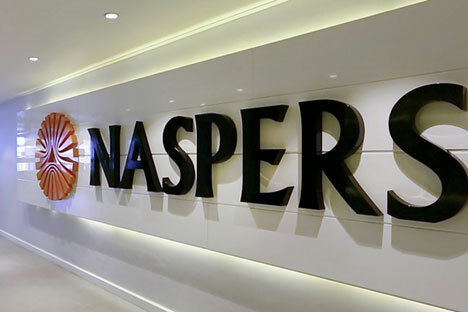 A South African holding company, Naspers, has acquired a controlling stake in Russia’s largest online classified ads website, at a price of a record $1.2 billion. This purchase will launch active trade between the two countries, primarily within the BRICS framework, note analysts. The South African media holding, Naspers, has bought a controlling stake in Russia’s largest classified ads website, Avito, for a huge $1.2 billion, an official statement said. The purchase means that the website was valued as worth $2.7 billion. “This transaction is significant and may have a multiplier effect, it will initiate similar agreements in the near future,” said Emil Martirosyan, associate professor at the Russian Presidential Academy of National Economy and Public Administration’s Institute of Business Administration. President Vladimir Putin had earlier said that Russia would work to develop trade with BRICS countries, including South Africa. Russia’s trade with this country accounts for the lowest turnover, among the BRICS; in 2014, it was $975.9 million, 8.6% less than levels reached in 2013. According to Russian analysts, both countries have similar commodity-based economies, but they may still be of interest to each other, primarily in portfolio investments. The purchase by Naspers of Avito is such a deal. Naspers became a shareholder in Avito in 2013, buying 18.6% of the company for $50 million. The fund has now decided to increase its stake. Avito appears to have been overvalued in this deal, by two or three times, when compared with its fair market appraisal, said Timur Nigmatullin, analyst at the Finam Investment Holding. Paying a substantial premium over the market value of the asset could be associated with the possible synergy of the company with other similar assets owned by the South African media holding,” said Nigmatullin. According to TNS, this internet portal gets over 25 million unique visitors each month. Additionally, 9 million users log on to Avito from mobile devices. Other than Avito, Naspers also owns 27.6% of the Mail.Ru Group, one of Russia’s largest Internet companies. Speaking at the “Russia Calling” Investment Forum in Moscow in mid-October, President Putin called on investors from South Africa to actively invest in the Russian economy. Russia and South Africa, he said, could work on projects in the energy, infrastructure and transportation spheres. According to the President, relationships between the BRICS countries are “more fundamental”. Russian investors are now discussing 11 projects in the nuclear energy field with South Africa, he said. “South Africa is a very active participant within the framework of BRICS, and Russia-South Africa relations in the economic sphere will keep developing, especially in the area of technology transfer and investments in fixed assets,” said Martirosyan. The two countries could provide each other with unprecedented, symmetrical mutual benefits. South Africa could become another important vector for the development of Russia’s international economic relations, said Martirosyan. Joint projects between the two countries in the field of agriculture have also recently begun. As Maite Nkoana-Mashabane, Foreign Minister of South Africa said in July, South African companies will supply Russia with agricultural products worth about $200 million. These will mainly be citrus fruits, apples, pears, vegetables and wine, while the Klein Karoo Company has begun exporting ostrich meat to Russia.